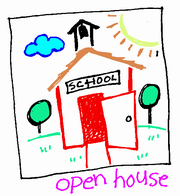 Our Curriculum Open House will take place on September 14, 2016 beginning at 6:45 PM and ending at 8:00 PM. This will be an informal opportunity for all families to come to the school, meet the teachers, familiarize yourselves with routines, and enjoy some information sharing. More information will come home over the next week. We look forward to seeing all of our families on that evening. See you there.